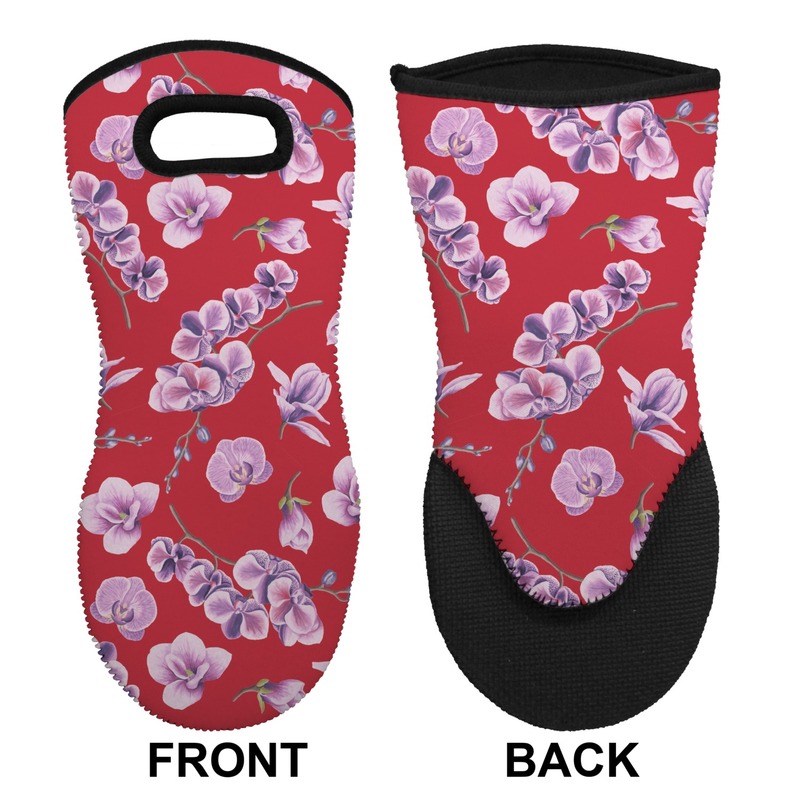 Our neoprene oven mitts are both functional and beautiful. 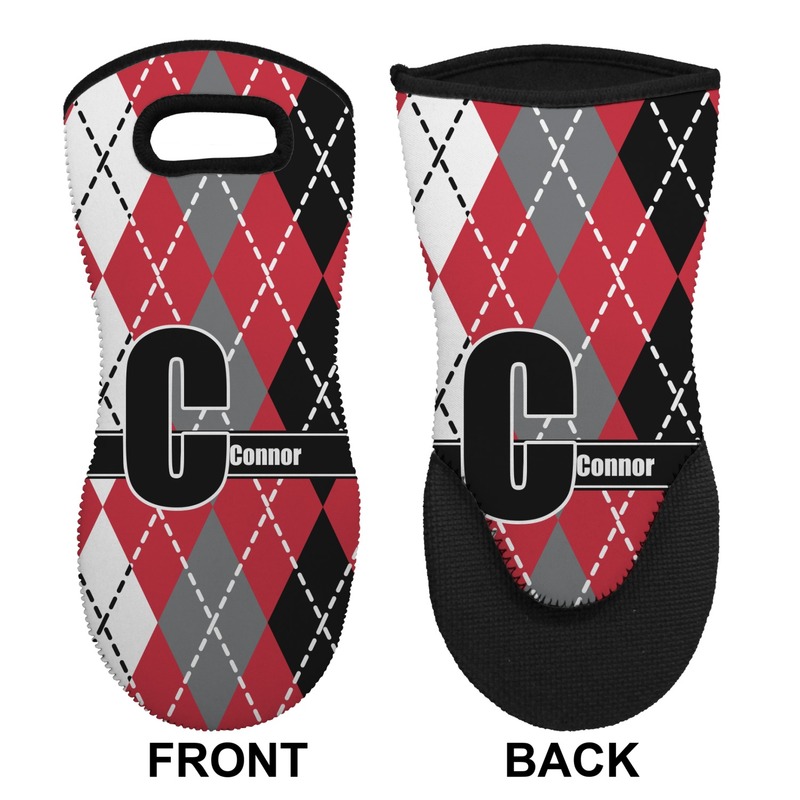 They are made with neoprene on the front and back to protect you from splashes. The part that handles the "hot" is made from black textured neoprene grip that is heat resistant up 500F. The glove fits either hand. So get one or get two. I like oven mitts like this, good for either hand, and it feels more secure when I grip hot pans/casseroles. I liked that this was a custom design, but wish that the mitt had thicker padding on it. Still, it fits my hand and arrived fast. Our 12 year old granddaughter opened her oven mitt yesterday and was tickled pink! She loves to bake and even designed her own "business card" for a school project which we chose to put on the mitt. Big hit! Now, I may have to order a personalized one for my sister, too. Product just as indicated on website. Mitt was produced very quick. USPS slow in delivering though. Would recommend website stating that because of way mitt is made, it works for both left and right handed people. Nice quality and super fast shipping! Nice pattern selection, good quality, and fast delivery! What more could you ask for in a pot holder. Soft, fits well, and they have sea turtles on them...come on people! Great gift for a beach enthusiast.